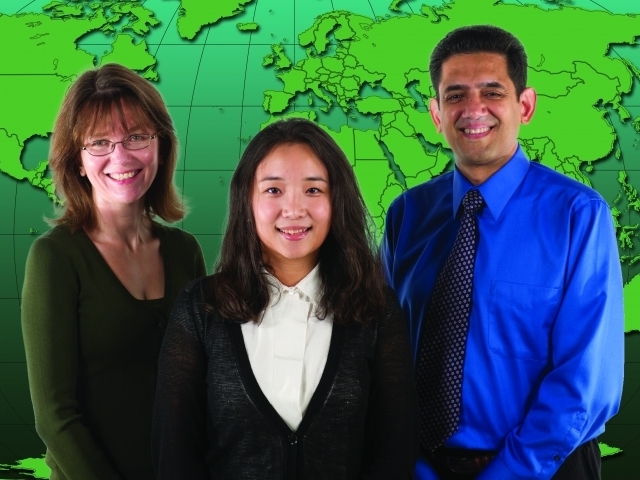 ISyE Professor Sigrun Andradottir, ISyE Ph.D. student Mi Lim Lee, and Emory University BIostatistician Azhar Nizam collaborate on pandemic influenza simulation research. Rare events (e.g., large deviations, extreme values, and tail asymptotics) in queuing systems, Gaussian processes, and heavy-tailed environments. Duality, mixing times, and phase transitions in (controlled or noncontrolled) Markov processes. Design and analysis of algorithms and related combinatorics. Optimization of simulation models (e.g., via adaptive random search, ranking and selection, or multinomial selection). Simulation of stochastic processes with strong dependencies. Sequential procedures for estimating quantiles. Variance reduction methods to estimate option prices. Allocation of resources such as clerks, laptops, and voting machines for elections. Option pricing and dynamic portfolio choice. Flexible server assignment in queuing networks. Modeling and surveillance of infectious disease outbreaks. Real-time management of complex resource allocation systems. Routing and design of the overhead AGV system in a wafer fab. Pricing in networks of queues. Probabilistic modeling of fire ant (Solenopsis invicta) bivouac towers. Admission control in loss networks. Estimation of the probability of winning a random round-robin tournament. Robust design of unit-load storage systems. 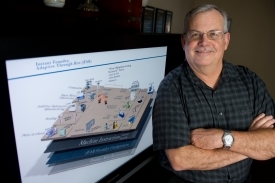 Leon McGinnis brings the power of simulation to production and manufacturing engineers.